time of the year to celebrate a baptism! from CopperGifts.com. 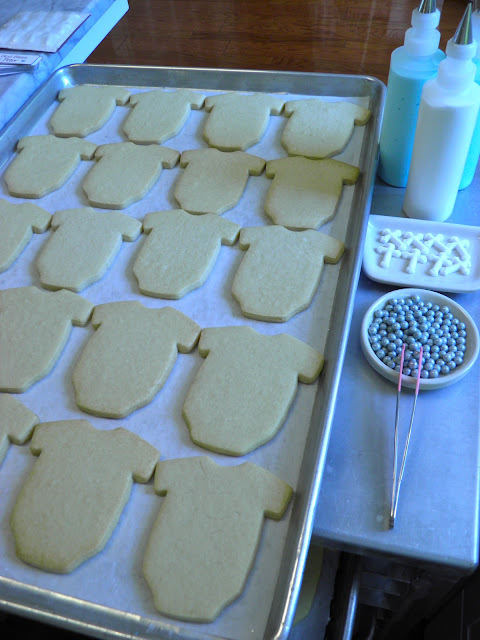 It's the perfect size for a cookie favor! Dani is every bit as sweet, kind and generous as we see on television! full credit for her design that inspired me or my ability to do them! Jelly Belly jelly beans yet? If not, click here to check out her sweet video! beans because for every one you put on the cookie, you're sure to eat two! 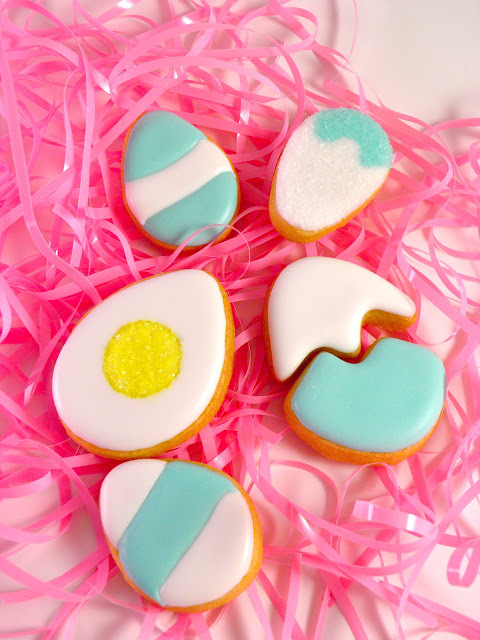 How cute are these little egg cookies? cupcake stand by Martha Stewart that I picked up at Macy*s! 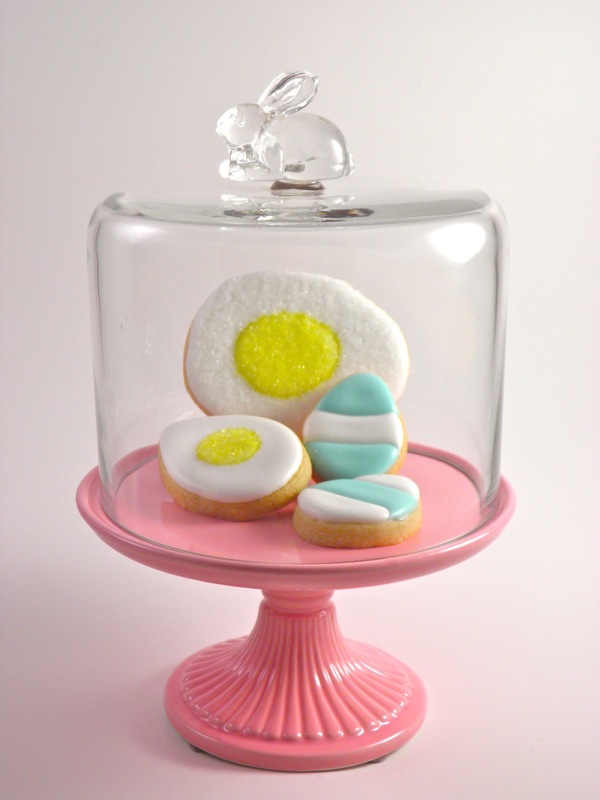 I couldn't help but decorate some of them to look like real eggs! 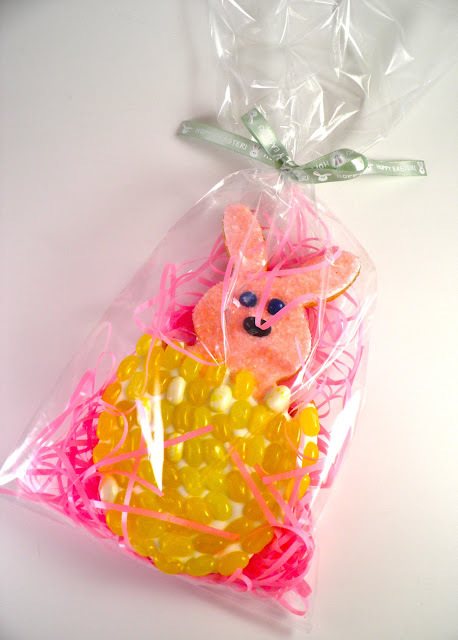 Off to the Easter basket they go! The cookies turned out amazing. I love the split eggs and the deviled eggs! 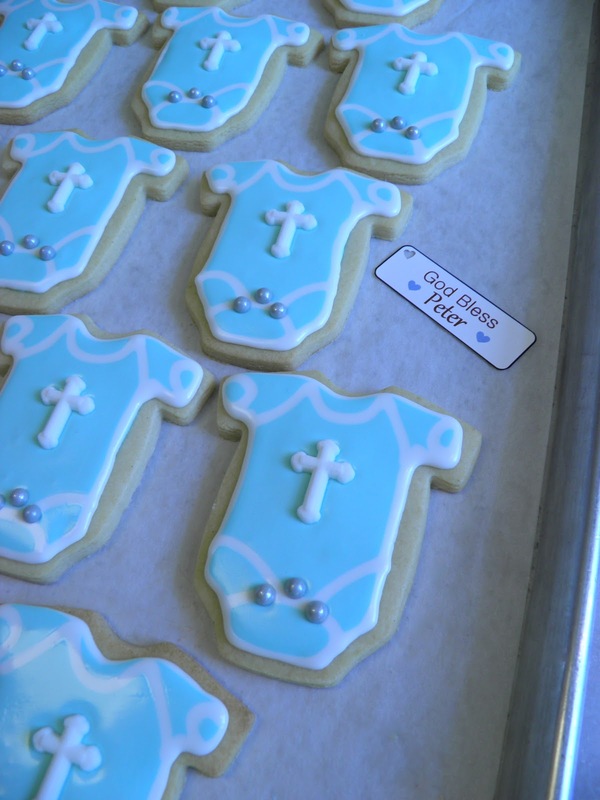 And the baptism cookies look adorable. The sugar cross was a perfect touch! And the honor of being asked to make cookies with Dani- I am swooning over here! :) Happy Easter! Happy Easter, Janet! Your cookies are so adorable (as usual)! You are so creative! 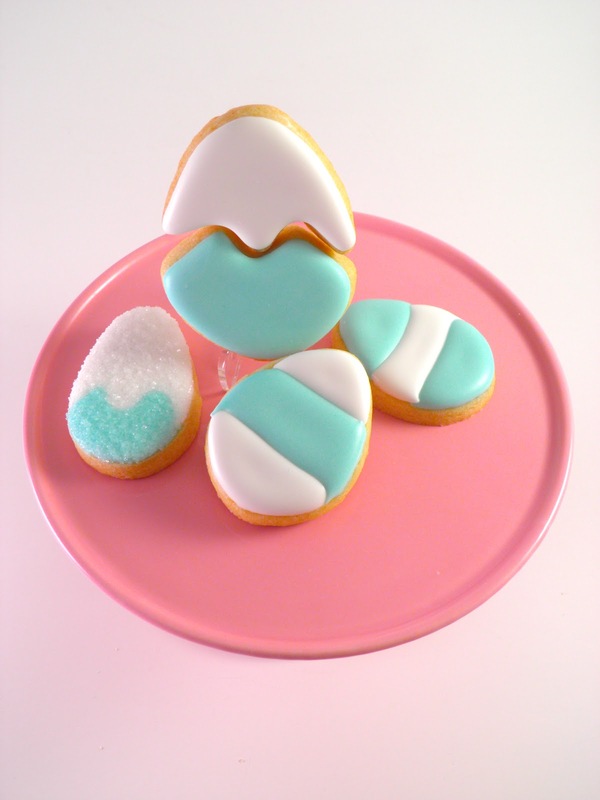 I'm with Marci, I love the split and egg yolk halved cookies! I had no idea who Dani was until just now, but congratulations! Wow! Happy Easter, Janet! I am embarrassed to say I did not make cookies or cupcakes for Easter, rather, my mom's chocolate pie. For some reason, it seemed important today. As always your cookies are stunning. I am so happy for you getting to assist Dani with her order. 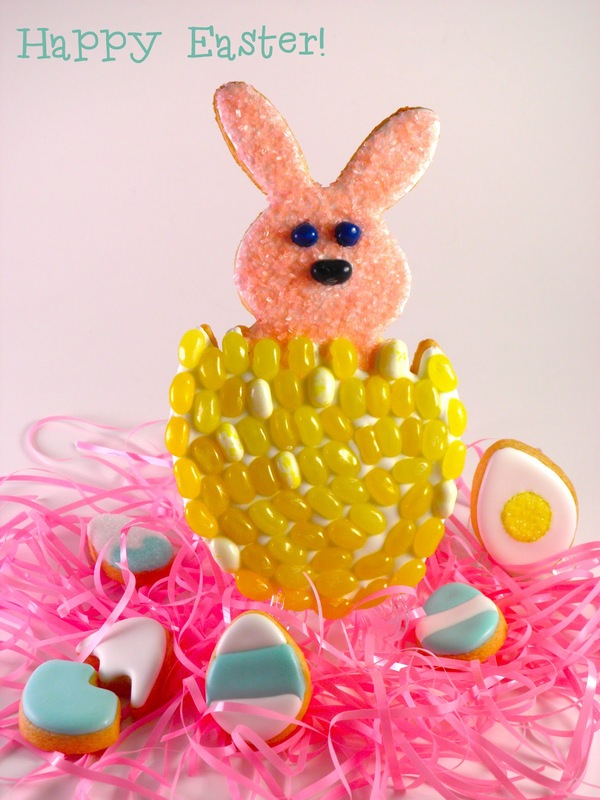 Happy Easter dear lady! You're one in a million. Janet, so excited to finally see those adorable Baptism cookies! The little sugar crosses are just perfect and what fun getting to work with Dani B! Your "real" egg cookies are sweet genius! Love the picture perfect display on that adorable pink Martha cake stand! 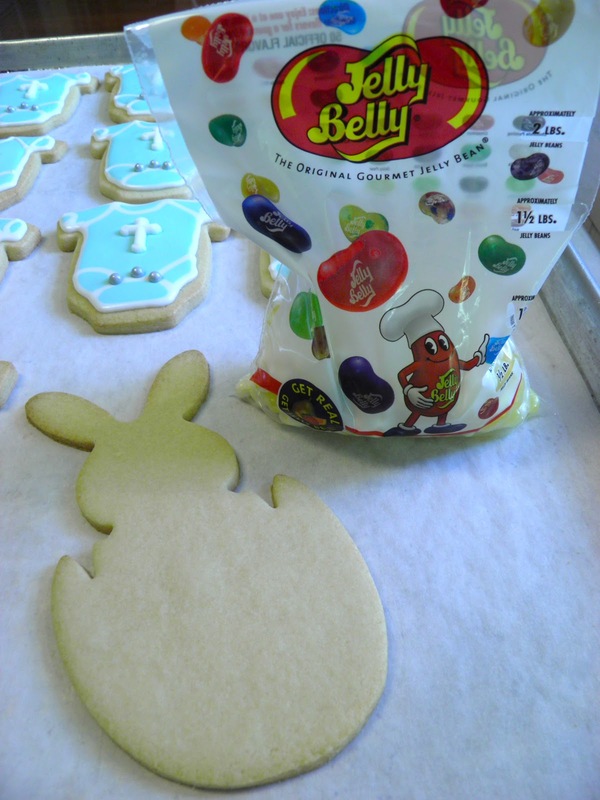 Also really like the way the jelly beans give added dimension to your hatching bunny cookies! 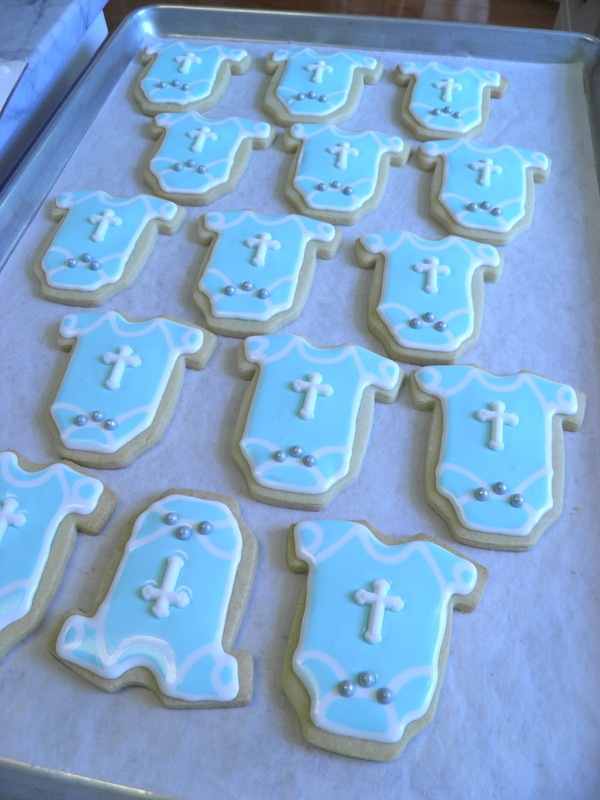 I love Dani's design for the Baptism cookies and yours turned out beautifully. All your cookies turned out beautifully. Hope you enjoyed a wonderful Easter with the family.